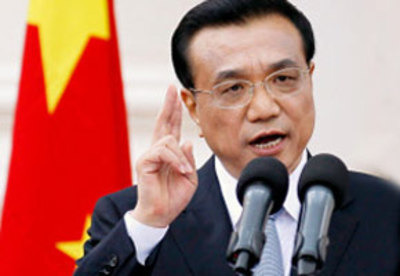 Chinese Premier Li Keqiang called for speeding up negotiations of China-Japan-South Korea free trade agreement (FTA) here on Tuesday. "China stands ready to work with relevant parties to speed up negotiations of China-Japan-South Korea FTA, taking a more active part in promoting negotiations on the Regional Comprehensive Economic Partnership, so as to achieve the long-term goal of the Free Trade Area of the Asia-Pacific (FTAAP)," Li said. Li made the remarks when addressing the 20th ASEAN-China, Japan and South Korea (10+3) leaders’ meeting in the Philippine capital of Manila. During the meeting, he called for further promoting trade liberalization and facilitation to establish an East Asia Economic Community, which is a strategic goal of the 10+3 cooperation. China-Japan-South Korea FTA negotiations were launched in November 2012, with the 12th round of the negotiations being held in Tokyo this April.